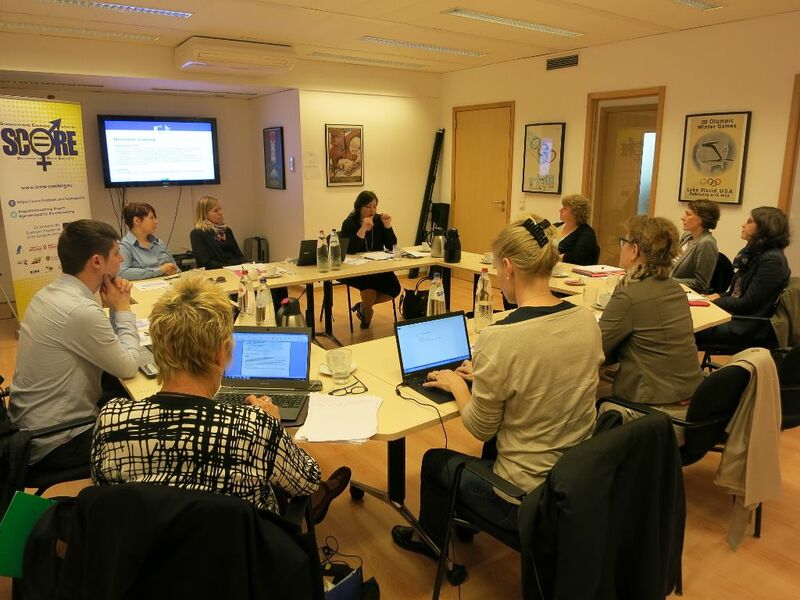 ENGSO, the European Non-Governmental Sports Organisation together with partners, including EUSA, under the Erasmus+ Sport Programme as Collaborative Partnership initiative, carries out the gender equality project in order to promote equal opportunities, namely gender equality in coaching. The SCORE project focuses on increasing the number of employed and volunteer female coaches at all levels of sport as well as enhancing knowledge on gender equality in coach education. The project is targeted at sports and coaching organisations at all levels, more specifically coaches, trainers, former athletes, volunteers and decision-makers in the field of coaching. During the course of the project, an "awareness pack" will be developed with different tools targeted both to sports organisations and coaches to increase higher participation of women aiming towards recognition of gender equality in coaching. Another main element of the project is the development of a mentoring programme, educating future mentors for potential coaches in the countries of the partner organisations. Implementation will take place in the form of national training sessions. After the education, the mentors will assist potential female coaches in their respective countries in developing the mentees' professional and personal growth.